warm depths is a soft gem hidden deep in the Internet. warm depths is a soft affair. The project of Nashville’s Camille Townson appeared on bandcamp last year, but little else is known about it besides a handful of EPs. Their low profile is reflected in their quiet and smooth arrangements and hushed vocals. 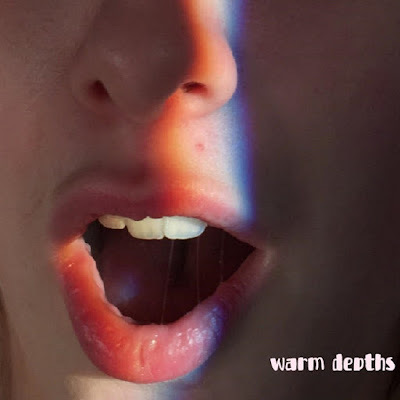 Reminiscent of lo-fi indie gems like free cake for every creature and early Frankie Cosmos (who they also cover), warm depths has three short releases thus far and is a true hidden standout in the bandcamp archives. Released at the very end of January, the five-track EP someone good, warm depths’ most recent offering, is a meandering journey tinged with themes of lost love and the struggles of navigating everyday life. It feels deeply personal. The first track, “blocked number,” opens with a question: “Are you anybody’s favorite person … are you the favorite person of anybody?” before launching into a sleepy yet heartening exploration of the lingering remnants of a past relationship. “It’s been two years since we met, and I still think of you like that / I wish that I could understand why you could never love me back, but I don’t need to,” Townson sings, dwelling in a memory. The shorter, melancholy “fumbling” follows, carried by a sturdy repeating chord progression and Townson’s reflective vocals. On “once I pretended we were dating, now I forget that I love you,” everything becomes fuzzier as warm depths turns to sweet harmonies and watery background sounds to build an intertwining narrative. “Can’t seem to escape your aching gaze / they say the light you brought will only dim and fade,” Townson sings, addressing someone who struggles with connection. Townson's vocals become livelier on “E.E. Cummings,” which is addressed “for camilla.” The song plays out like a love letter to an old friend or a favorite confidante, dotted with shared memories. “I carry your heart with me in mine all tangled up with our names intertwined,” she sings deliberately, with more clarity and lightness than before. The final track, “knives in my throat,” takes the early Frankie Cosmos recording and places it among the EP’s similar themes of imperfect love and never-ending self-discovery – it’s the perfect song for warm depths to cover, and a fitting end for this collection. The last line, “and I am happy,” leaves Townson in a place of promise after the heartbreaking whispers of the previous songs, and leaves us already anticipating more from the elusive artist. Listen to warm depths on bandcamp. Sarah Hojsak is from Philadelphia and writes about music and other things. She likes hazelnut coffee and buying more books than she can read. Catch her on a good day at a show being emotional about how good music is, or on a bad day doing the same thing but through headphones.